Pharma Packaging Pharmalift-LC Pallay Stainless Steel Tablet Elevator Feeder . New Life Scientific, Inc. The Pharmalift acts as a hopper/feeder that moves pharmaceutical capsules or tablets that is ideally paired with a counter or packaging machine. This instrument features stainless steel surfaces, has limited part handling required, chip and dust removal, and a touchscreen PLC control system for parameter controls and monitoring. This product is in superior condition and appears to have no signs of use. 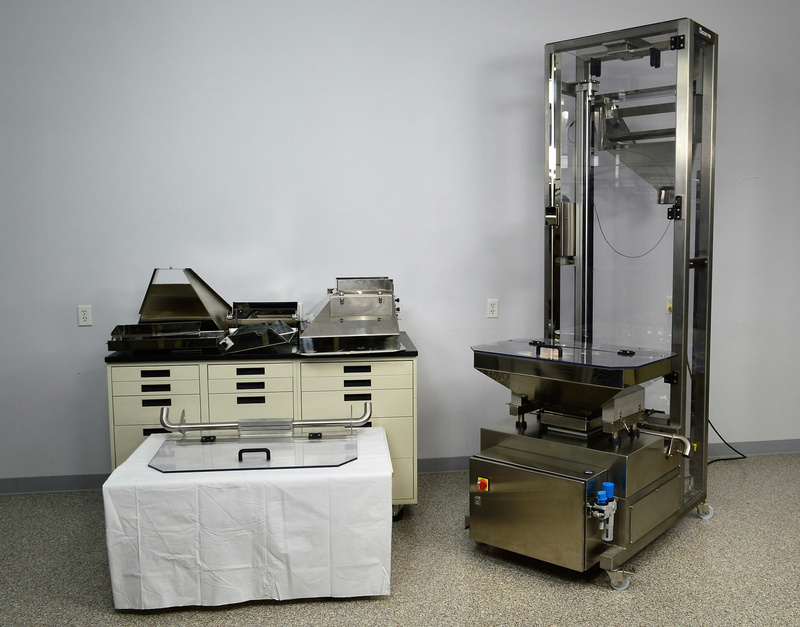 The Pharmalift was acquired from a U.S. pharmaceutical facility with a number of replacement parts and extras. There appears to be a minor scuff on the plexiglass approximately 1.5" in diameter, but the wear does not appear to be from application. This product will be sold as a used-working instrument. The Pharmalift is untested and has all signs of originality intact. The product may be powered on for photography purposes only. The manufacturer (Pharma Packaging) and the North American counterpart (Pallay Pack) were contacted for history and cost information, but both companies failed to respond to our inquiries.